These three sketches are from Taos, New Mexico. 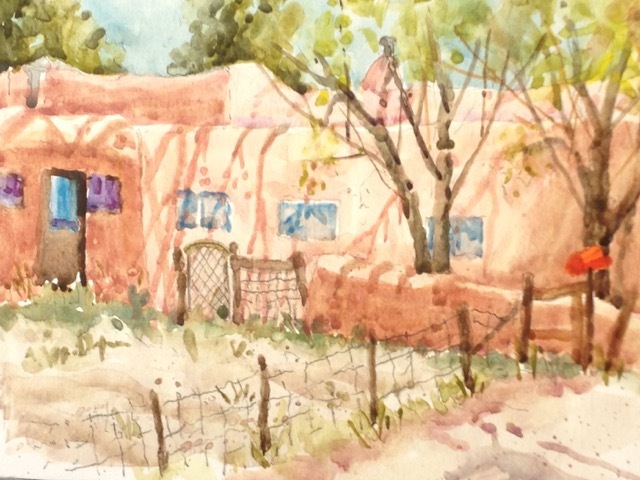 This was painted on LeDoux Street which is a little one-way street with excellent examples of old adobe architecture. The blue door opens onto a private garden and a traditional adobe home. It was a beautiful sunny day and the cast shadows were full of color. Taos has been an art colony for over 100 years and some of the first artists in residence built their homes and studios on LeDoux Street. 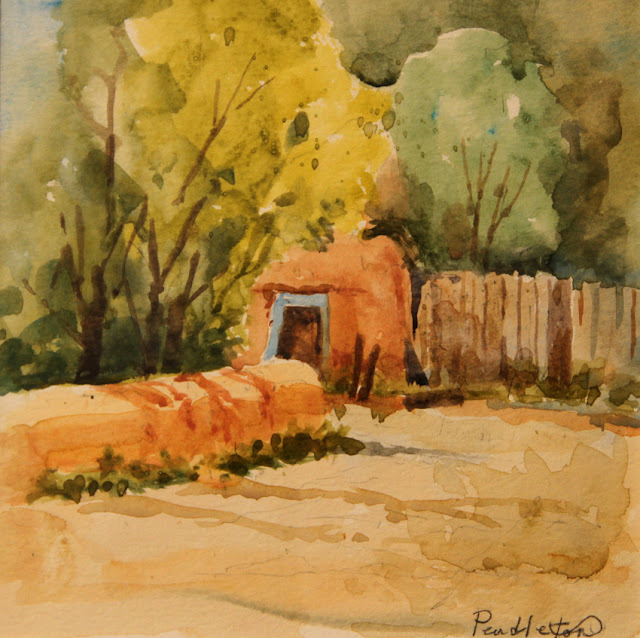 I did this sketch in an older Taos neighborhood and the setting is typical of the town with the adobe wall and building, coyote fence, and cottonwood trees. This traditional architecture has a charm all its own with its warm colors and gently curving lines. The sunlight in Taos is legendary and it is one of the things that attracted the first artists to the area. In the same neighborhood, about 10 steps from the previous sketch, is this charming old home. It is behind an old mission where the local people still worship on Sunday. Just up the dirt road are some newer buildings, but old adobes still dominate. This kind of traditional architecture requires annual maintenance and it is common to see homeowners plastering away on warm summer afternoons. Dennis Pendleton is an artist and art teacher who lives in Denver, Colorado. 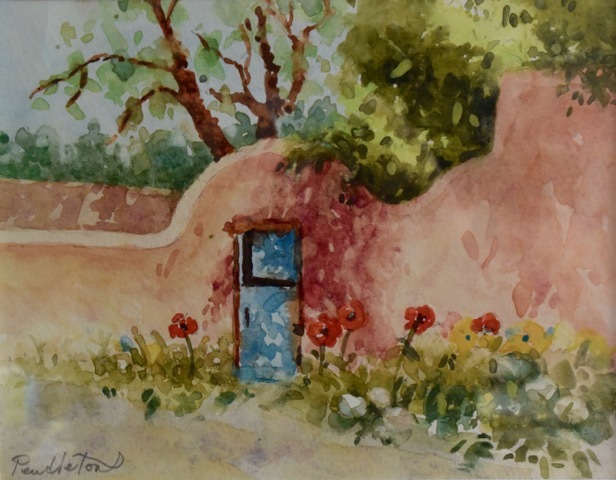 These sketches were painted during a workshop he teaches in Taos. See more of his work on his website.